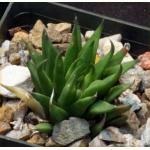 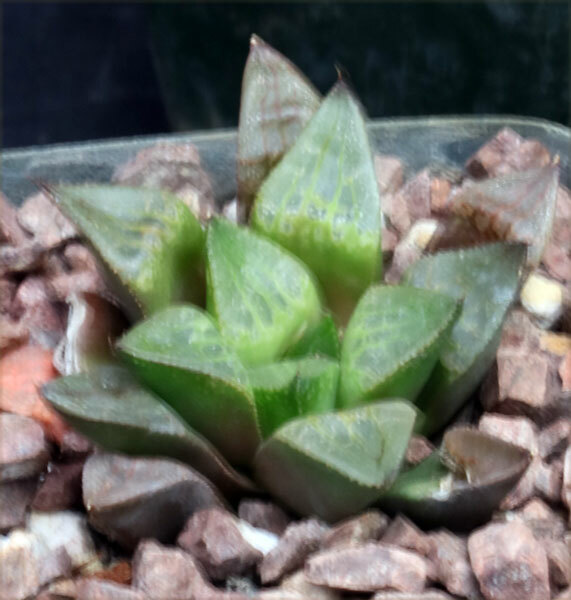 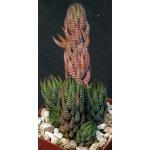 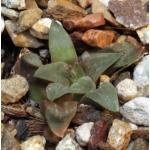 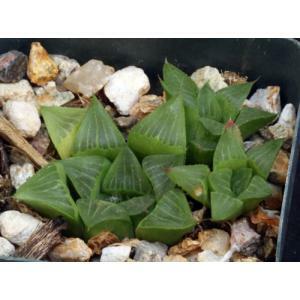 Bayer's (1999) concept of Haworthia retusa is very broad and encompasses a number of forms that others consider to be distinct. 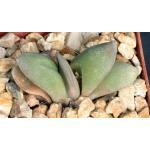 We keep what once was considered H. geraldii separate. 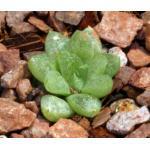 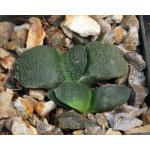 This species, with its chunky, retuse leaves, is very proliferous and has been linked with the H. pygmaea clan as well. 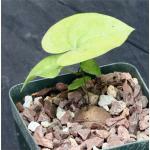 These plants are offsets in 4-inch pots.